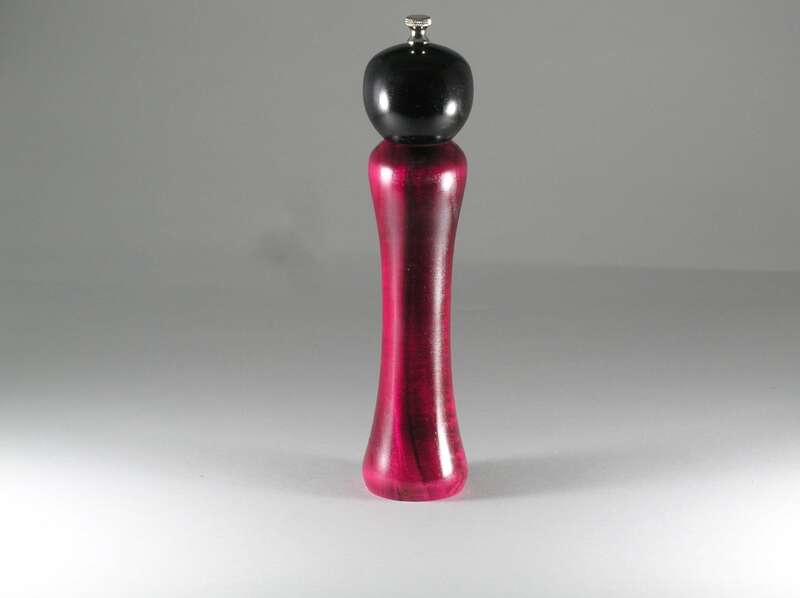 A 10 inch peppermill made from maple and then dyed a combination of red and black. It has been finished with several coats of polyurethane which really makes the colors stand out. The base of the mill was done totally in red and only the knob was done in black. Even though there is no black in the base, dark red will sometimes appear as a little black. The grinder is stainless steel to give many years of use.